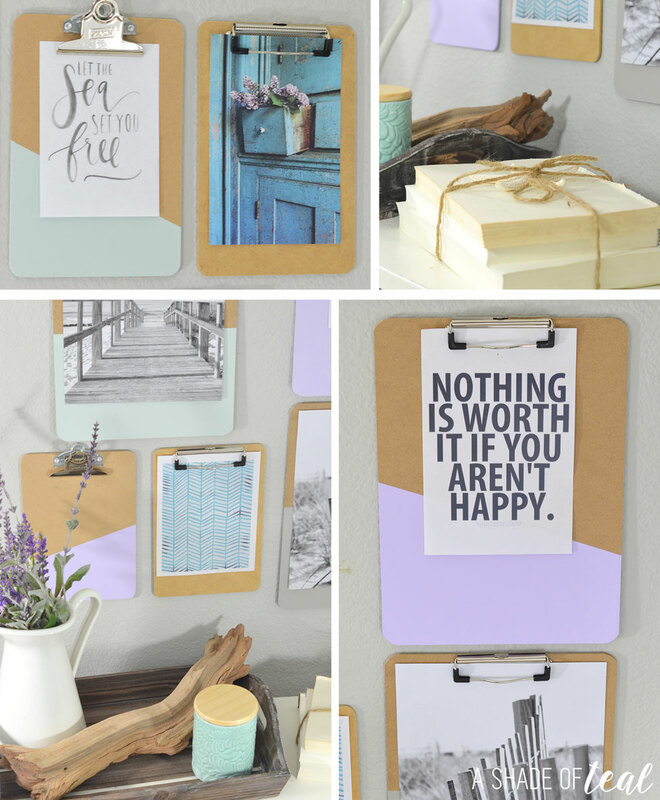 I love simple and easy DIY projects that make a huge impact; my new clipboard gallery wall is just that. I’ve been wanting to create a gallery wall for some time in my office. I wanted a place I can easily change out art and quotes. I headed to Walmart to find some supplies. 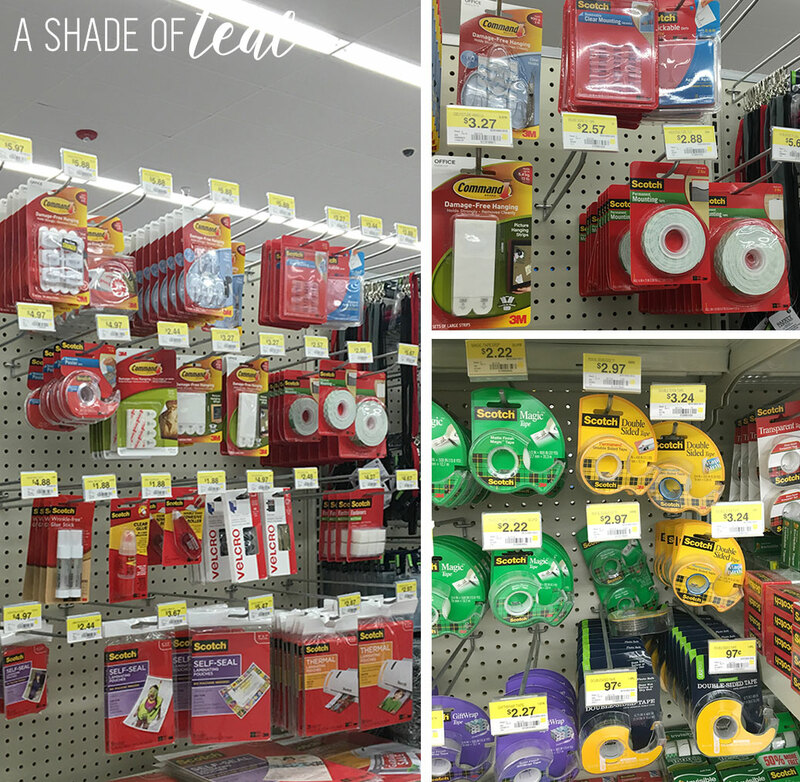 I was able to find everything I needed in the craft aisle. I made sure to pick up Scotch® Brand products since they offer such a wide variety of craft products. I also picked up some Command™ products since they have some of the best damage-free hanging options. 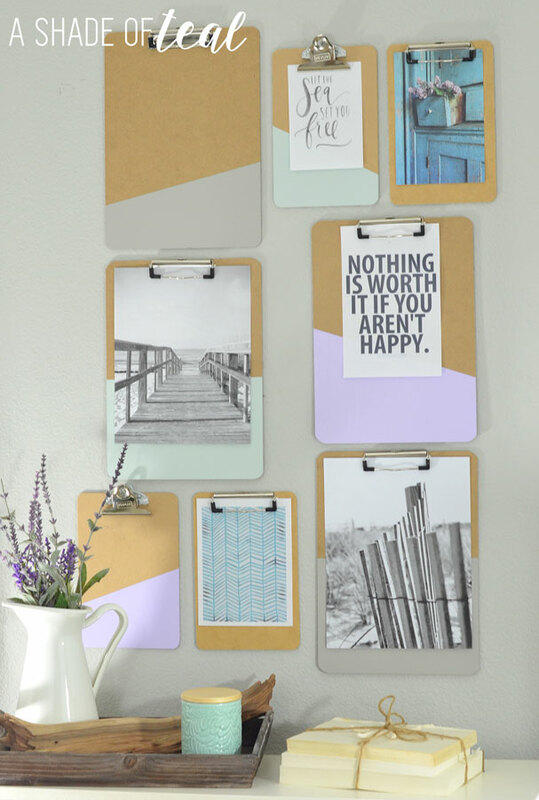 Here’s what you’ll need to make your own clipboard gallery wall. For the clipboards I wanted to add some extra interest, as you can see above I taped different sections off each clipboard for where I wanted to paint. 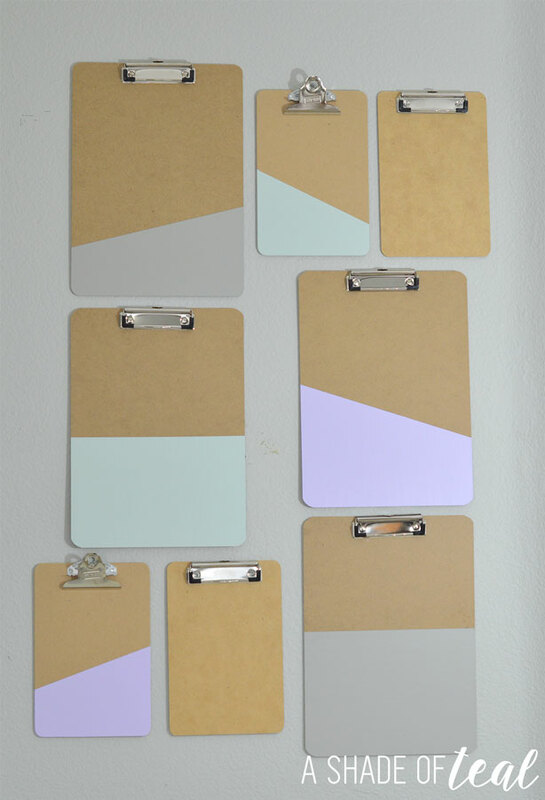 I painted all the clipboards in either grey, purple, or mint. I love peeling off the tape and getting a perfect clean line! I also left 2 mini clipboards unpainted. Next, I prepped the clipboards to hang on the wall. 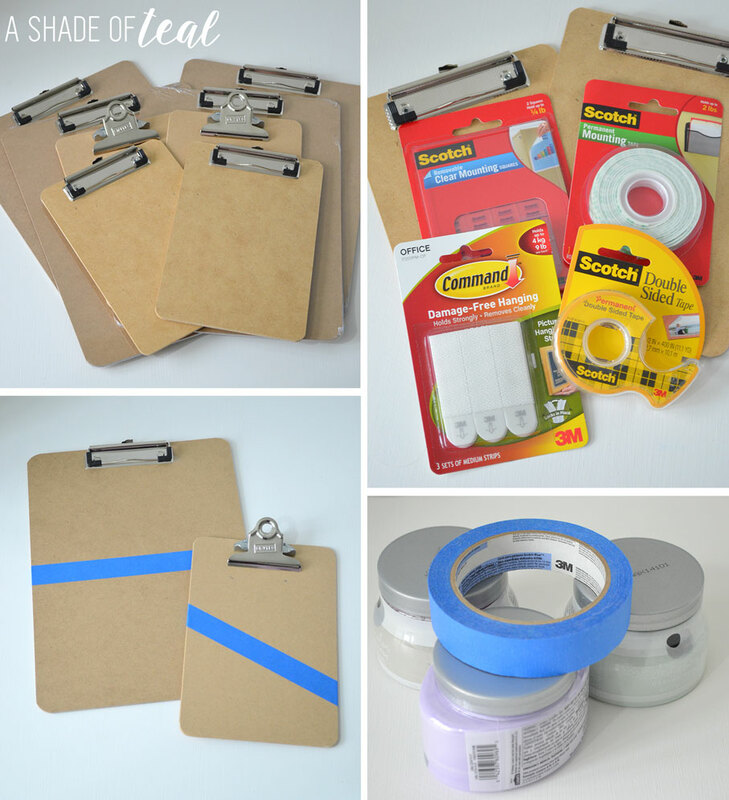 For the large clipboards I ended up using the Scotch® Brand Permanent Mounting Tape. I added a couple of pieces to the top & bottom. 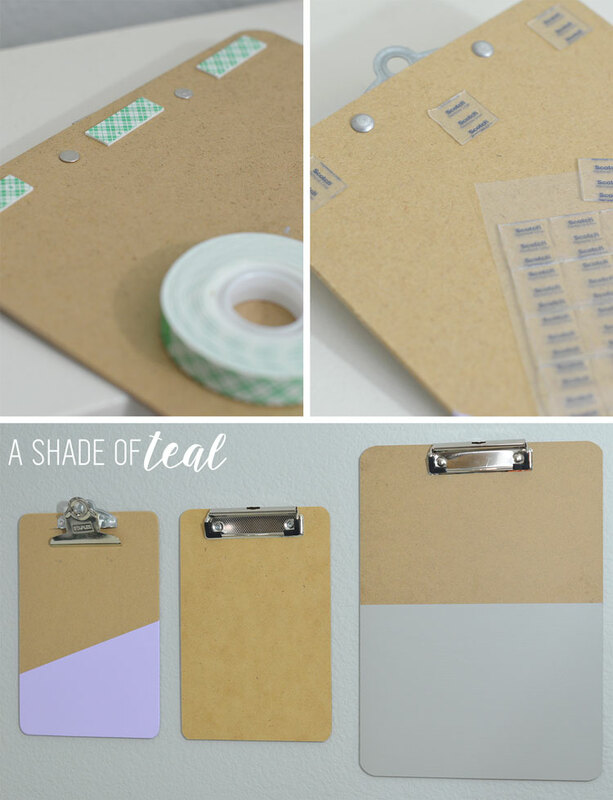 For the mini clipboards I used the Scotch® Brand Mounting Squares in clear. Again adding a couple of pieces to the top & bottom. I then started hanging the clipboards on the wall. Once I got the first row up and they all felt secure I continued to add the mounting tape & squares to the rest of the clipboards. Here’s how I hung the rest of the clipboards. Then just add your art and style! This was my favorite part. 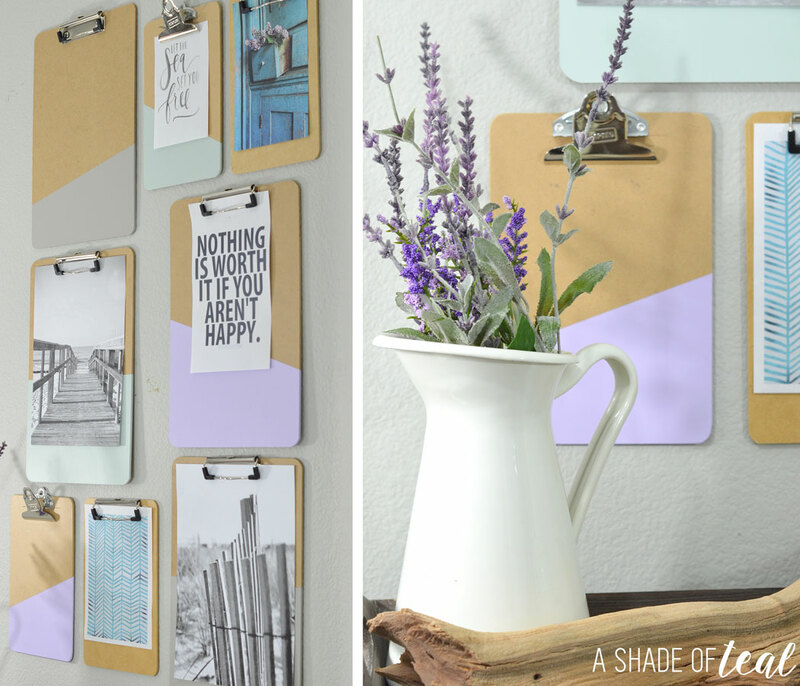 So if your looking for a quick and easy craft project this Clipboard Gallery Wall is for you! Make sure to grab all your Scotch® Brand and Command™ supplies at Walmart. 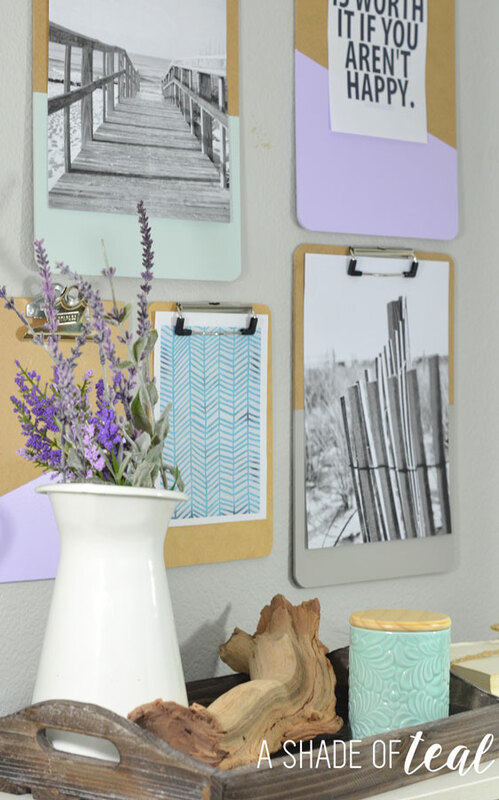 Have you created a unique gallery wall lately? I would love to hear your ideas, share away. Or if you need more inspiration check out this DIY Pinterest Board filled with great craft ideas. I absolutely love changing out art too so this idea is AMAZING! What kind of paint did you use for the clipboards? Thanks Sherry! I just used paint samples from Lowe’s.